Uncover the secrets of SQL and start building better relational databases today! This fun and friendly guide will help you demystify database management systems so you can create more powerful databases and access information with ease. 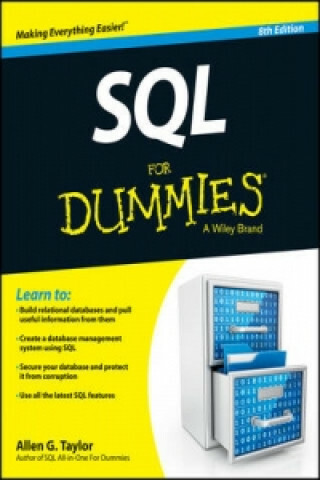 Updated for the latest SQL functionality, SQL For Dummies, 8th Edition covers the core SQL language and shows you how to use SQL to structure a DBMS, implement a database design, secure your data, and retrieve information when you need it. Includes new enhancements of SQL:2011, including temporal data functionality which allows you to set valid times for transactions to occur and helps prevent database corruption Covers creating, accessing, manipulating, maintaining, and storing information in relational database management systems like Access, Oracle, SQL Server, and MySQL Provides tips for keeping your data safe from theft, accidental or malicious corruption, or loss due to equipment failures and advice on eliminating errors in your work Don't be daunted by database development anymore - get SQL For Dummies, 8th Edition , and you'll be on your way to SQL stardom.